Sometimes short books can be some of the most helpful. Ed Welch recently published a diminutive volume that promises to be instructive for many people. 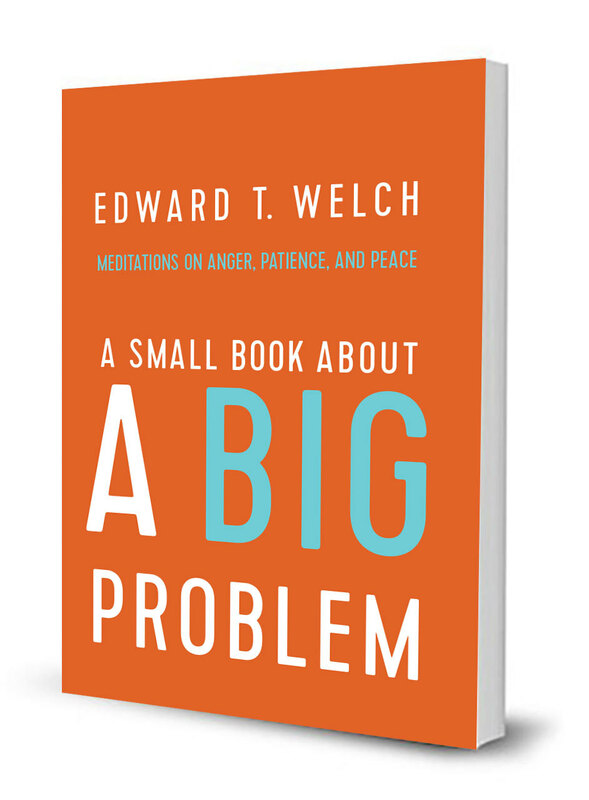 The title of Welch’s latest volume is, A Small Book About a Big Problem: Meditations on Anger, Patience, and Peace. Really, the title writes a large portion of the review. This volume consists of fifty brief devotional meditations to help people consider the problem of anger and impatience, and to pursue a godly peace. Welch addresses the topic with his characteristic clarity and biblical insight. He clearly explains the nature and typical underlying causes of anger, with helpful techniques for subverting the attitudes and behaviors that often lead to anger. Thankfully, Welch does not address the topic of anger as a fundamentally behavioral problem. Certainly, anger has behavioral aspects, but it is actually a spiritually rooted sin. With the obvious (but exceedingly rare) exception of “godly anger,” human anger is sinful. Each of us struggles with it in differing degrees, with different symptoms, and for different reasons. However, the struggle with anger is unavoidable. The solution to an indwelling sin, like anger, is to change one’s character. That is, anger is not usually simply a knowledge problem. This makes the format of Welch’s book very appropriate. The book has fifty daily readings. Each of them is only a few pages long in this gift-sized book. Many of them have questions for further thought embedded in them. It would be easy to read this small volume in an hour. But the book is intended to be digested over weeks. Perhaps even repeated several times. The result should be the beginning of the heart change and soul formation that will encourage the gospel to shine through instead of anger. Although we try to rationalize it away, anger is a denial of the power of the gospel. Anger is nearly always driven by a sense of offended personal dignity: “I wasn’t treated appropriately” or “Did you see what that person did to my child?” These are perfectly understandable responses to inconveniences and even the sin of others, which we are certain to encounter in this fallen world. However, the gospel tells us the story of the one who was entirely without fault and took the penalty for our sin on our behalf. That story is of one who never sinned and whose anger, when he was anger, was truly righteous. In fact, the center of the gospel is that Christ took the just wrath of God on our behalf; he stood in the way of the ultimately justifiable anger in the universe so that we wouldn’t be destroyed by it. In light of the gospel, we have no basis for being angry at the sins of others or at the inconveniences of this world. How can we who have been forgiven so much not forgive those who sin against us? This is the sort of message Ed Welch proclaims over and over again in his little book. It has a mix of theological truth and practical application based on that truth. The result is a helpful little volume that can help to change the reader’s heart and encourage his or her pursuit of holiness. That makes this small book an important one and a resource that pastors and other ministry leaders may find useful to recommend. Note: I was given a complimentary review copy with no expectation of a positive review.